Have you ever wanted to ride a dolphin or dreamed of playing on a rainbow as if it were a waterslide? How would you feel if someone tried to kidnap you, and you were forced to move to Hawai'i to hide and live with people you don't know? That happened to Harmonie. Come meet Harmonie, her new Mystic Princess friends, and find out what happens when her enemies, the Children of Ares, find her again. 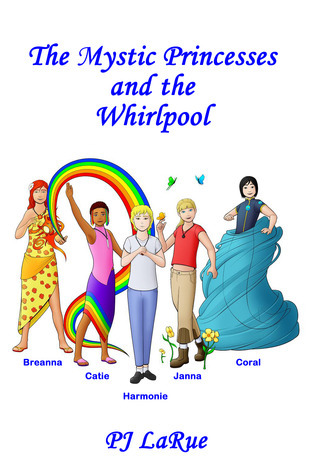 Source: Info in the About The Mystic Princesses And The Whirlpool was from the press kit from the publicity team.